Heatshrink Boat Wrap is a shrink wrap used extensively for covering, securing, protecting and packaging boats of all sizes. Heatshrink boat wraps provides a physical barrier of protection to your boat during transport and storage. It can tightly wrap any odd shaped object of varying dimensions. It has a high UV resistance which protects the film from harsh sun rays and improves its overall longevity. Heatshrink wraps are puncture-resistant making them an ideal wrap for transport purposes. It is high strength, lightweight polyethylene (PE). Easy to patch and repair. HeatShrink is a fire-retardant solution. Ideal for wrapping big objects and equipment during transportation in extreme weather. Unlike a usual cover, it wont flap about in the wind. Excellent wrap for long term storage. It protects your boat from mildew, bugs, humidity and UV rays. Shrink wrap is a low-density polyethylene film made up of polymers. 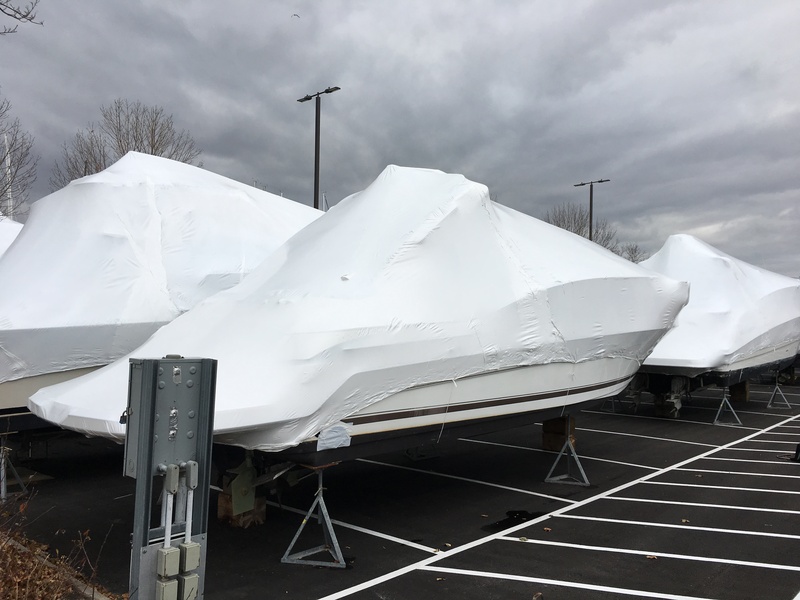 Heatshrink boat wraps protect the boats from extreme weather, wind, moisture and more. These wraps keep moisture, dust, debris and bugs away from your boat. When heat is applied, it shrinks tightly over whatever it is covering. A tightly contoured fit offer a tailored solution for covering, securing, protecting and packaging the structure they cover around. Common plastics used to produce heat shrink wrap are: polyolefin, PVC, polyethylene, and polypropylene. Heat can be applied with a handheld heat gun (electric or gas), or the product and film can pass through a heat tunnel on a conveyor. Films are stretched when they are warm to orient the molecules from their initial random pattern. Cooling the film sets the film's characteristics until it is reheated: this causes it to shrink back toward its initial dimensions.